The Harry Potter author continues to silence haters on Twitter by defending Wimbledon star Serena Williams. After Serena Williams won The Women’s Final at Wimbledon yesterday (July 11), J.K. Rowling went on Twitter to express her excitement. “I love her,” the author wrote. However, one Twitter user was feeling a little less supportive, writing, “ironic then that main reason for her success is that she is built like a man”. 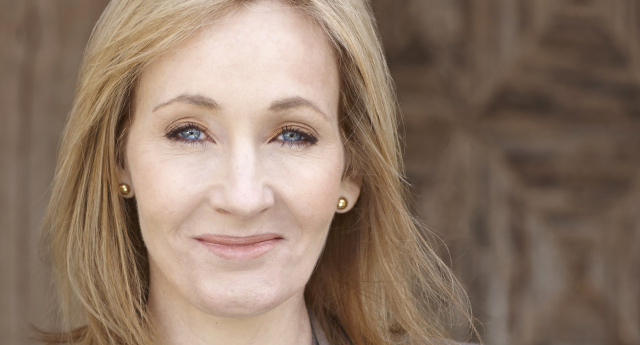 Rowling – who has a history of silencing haters on the social platform – replied in kind, taking the opportunity to slam the troll in a typically witty reply. “Yeah, my husband looks just like this in a dress,” Rowling wrote. Rowling has become known for giving brilliant responses on social media. Highlights include a recent response to the Westboro Baptist Church (WBC), who took offence – the WBC, taking offence?!? – to the idea of Rowling’s creation Dumbledore marrying fellow wizard Gandalf. “Alas, the sheer awesomeness of such a union in such a place would blow your tiny bigoted minds out of your thick sloping skulls,” Rowling wrote. She has also used Twitter to support her legion of LGBT fans, offering words of wisdom and comforting advice to those struggling with their sexuality.